Acknowledging that the Earth has entered a new geological epoch - the so-called era of the Anthropocene - humanity is today living within radically transformed landscapes. As the classic Modernist demarcations between culture/nature, urban/rural, interior/exterior, subject/object and natural/artificial have started to dissolve, new configurations of landscapes are appearing, not least caused by global climate change. Nature, man and technology have simply become overlapping entities - a fact which to a profound extend challenges humanity to move towards new and modified states of being. We live in a time where it is becoming obvious that human activity over the last 200 years has changed the planet to such an extent that we are now living in a new geological era: The Anthropocene. The term Anthropocene was coined in 2000 by the ecologist Eugene F. Stoermer and atmospheric chemist Paul Crutzen, arguing that in the future, we will be able to trace the human imprint of today’s society in glaciers, rocks, oceans and sediment. Accelerating this development has been the exponential use of fossil fuels, the massively increased global population, heavy urbanization, rising carbon dioxide and methane gas levels, and the atomic bomb. As a direct result of these activities, we are now experiencing systematic degradation of natural environments and ecological systems on global and local scales. All of these events point to the fact that mankind has become a dominant geological force. For the season of 2016 Röda Sten Konsthall has dedicated its exhibition program to interrogating the concept and notions of the Anthropocene. Through various artistic, aesthetic, philosophic and scientifically informed projects, Röda Sten Konsthall will present a series of exhibitions and programs including talks, screenings, seminars, workshops and performances that will address, discuss and question the conditions from which humanity understands and shapes its relationship with the planet Earth. What does it mean to exist in an epoch dominated by humans? How do we adjust our environments, landscapes, cities and social communities in the face of the current ecological crisis? Have we made the Earth a better or worse place for us to live? 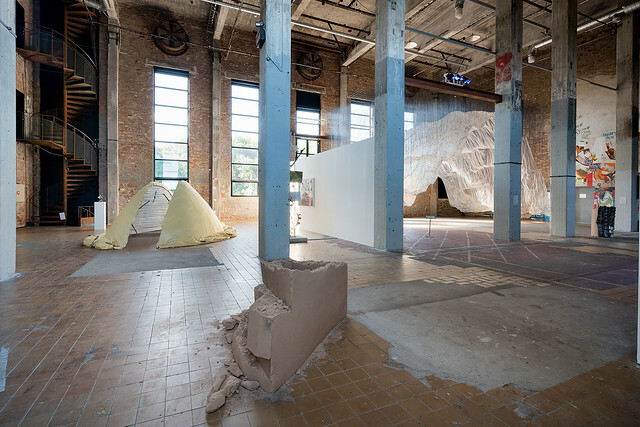 What role can contemporary art play in the course of learning from the Anthropocene?